Detailing the physical features, habits, territorial reach and other identifying qualities of the Giant Walkingstick. Walkingsticks are proven masters of camouflage, a necessary defense for this slow, wingless walker. 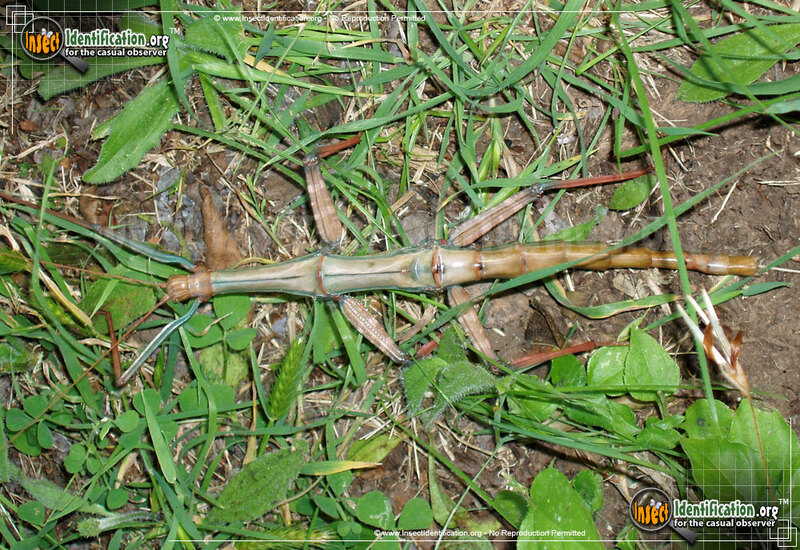 The Giant Walkingstick is the largest of all North American Walkingsticks, measuring somewhere between 7.5 cm and 15.0 cm (3 to 6 inches) in length. Walkingsticks, in general, have bodies that resemble the shape, and usually the color, of sticks, twigs or branches from a tree. 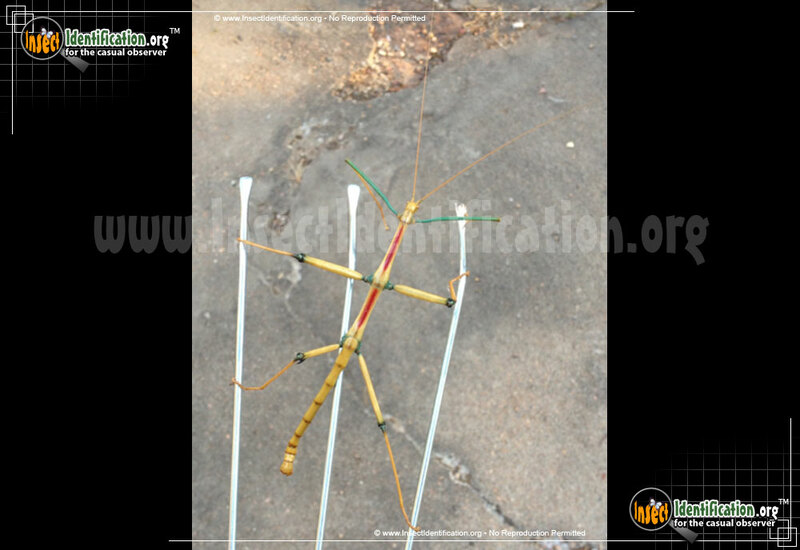 This adaptation is a form of camouflage that allows the Walkingstick to avoid predators. When something approaches the Walkingstick, it remains very still, avoiding detection. 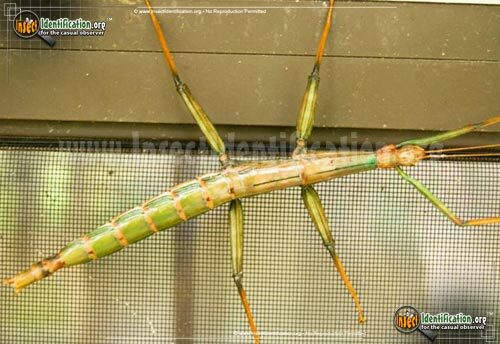 Giant Walkingsticks are slow walkers and can be somewhat fragile, so they should handled delicately if at all. Almost all Walkingsticks are wingless (except for one species in Florida) and cannot fly. Their legs do not allow them to jump, either. Stealth and concealment are their only forms of defense. If disturbed, they may fall to the ground and remain motionless until the threat has passed. Identifying features include a red, brown or green body. Some are a combination of colors. Individuals may be quite flashy and colorful, or very muted and dull. Legs have similar colors to the body, though many individuals have brown 'feet', mimicking the color of a dried up twig. These insects are generally found throughout the Midwest, and they feed on various greenery in forests, prairies, and grasslands. Adults nibble on leaves of plants like oak trees, grapevines, and tall grasses. Active feeding usually occurs in the later hours of the day where their movement may not be as noticeable to predator. Adult life spans range from a few weeks to a few months. Females are generally larger and longer than males. 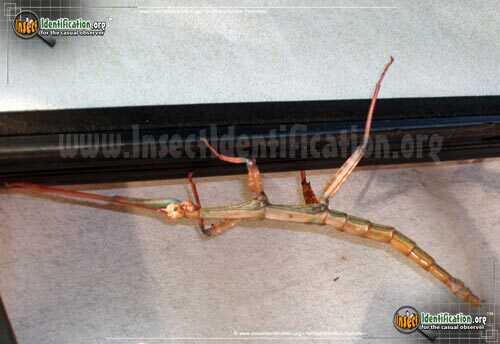 In some species of Walkingstick, males ride on the backs of the females for most of their adult lives. 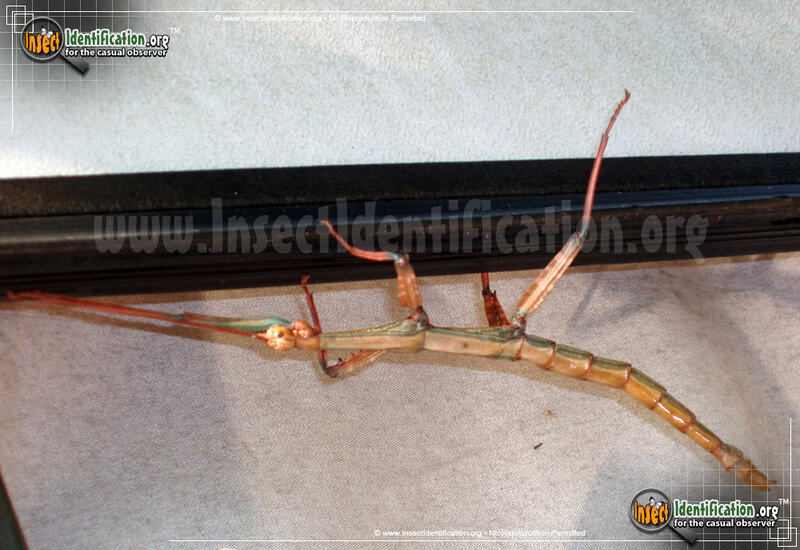 Some types of Walkingstick females can reproduce asexually, if males are difficult to find. Females lay hundreds of eggs in foliage, or on the ground in obscured places like dead or dying leaves and foliage. Only one generation is produced a year so more eggs increases the likelihood of a sustained population. Eggs overwinter and offspring, hatching in late spring, whereupon the insect makes its way upwards to softer, edible greens.